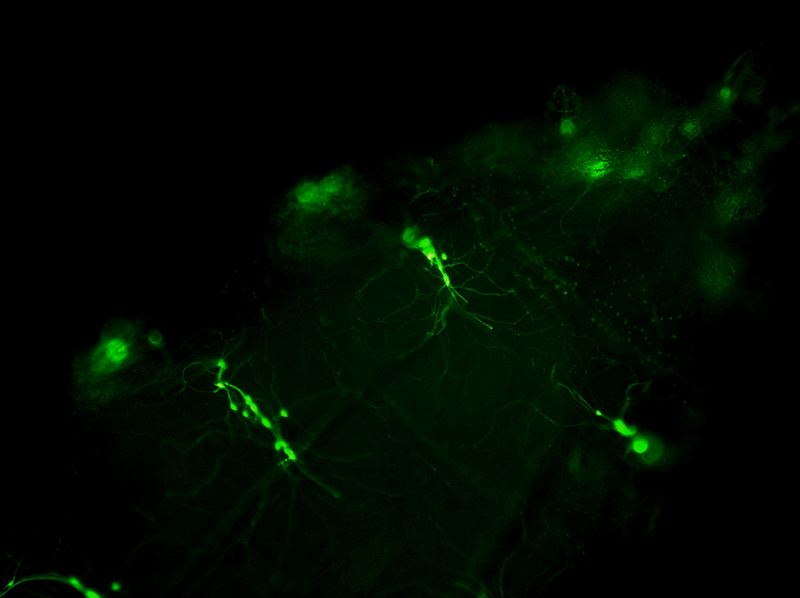 Fruit fly larva neurons labelled by green fluorescent protein. This entry was posted by Yuk Fai Leung on July 15, 2017 at 3:28 PM under . You can leave a response, or trackback from your own site. Follow any responses to this entry through the RSS 2.0 feed.